Quentin is a man desperately in love. He will do anything for love, for the love of Margo Roth. So, When Margo asks him to be part of a revenge campaign, he agrees. One of the top ten teen books to read. Sofia's birthday turns into the most horrible day of her life. She is kidnapped by vampires and now she is held captive on an island, where a powerful vampire rules. One of the top 20 books for teens. See our exclusive review of this popular series here. The story of Hazel, terminally ill with cancer. A story of her struggle against disease and despair. Her life completely changes Augustus enters her life. Katniss has been chosen this year to represent her district in the hunger games. An annual event oraganized at the Capitol. Will she survive or perish? One of the top ten books for teens. Thane is an accomplished paper magician. Ceony has to be his apprentice, and it's something she never wanted, spells were her natural choice. Soon, she discovers and learns magic she's never imagined before. One of the best books for teens. A completely fractioned society, difficult choices, and one of the most amazing story ever told. All three books combined in one edition. One of top ten books for teens. Kelly runs a popular coffee shop in town. Suddenly her best friend Amber is murdered. She gets involved in solving a murder mystery that rocks the entire town community. One of the really good books for teens to read. Explore everything about all the characters. Enjoy knowing about each character, combat skills, spells, abilities, and easily use it as a resource for character creation. One of top teen books. Pudge, is boring, and has a simply boring life. There's nothing really exciting about his life. He goes about his drab routine at the boarding school every day. But, one day his life changes when he see's Alaska young, and is completely smitten by her. One of the best books for teens. A tale of emotions, passion and love, set in an ancient land that has creatures that are not known today, and people of every shade. Beautifully written one of the best books for teens. Clara gets the shock of her lifetime when she discovers scales growing out of her sister's body, soon she realizes that her sister is a "mermaid", and her life completely changes. One of the top ten books for teens. America is one of the thirty five girls girls competing for Prince Maxon, and dreaming about becoming a princess. All except America, who still would rather marry someone else. One of the really good teen books. It's the darkest time in German history, 1939 in Nazi Germany, and Leslie is a lonely and poor foster girl who steals to survive, but she also never misses the opportunity to steal books and read them. One of top 50 teen books. Bianca's friends love her and always support her. Wesley is hot in his own way and calls her the Duff. She could never have imagined falling for someone like him, until one day it happens. A top teen book. Holden is an unusual boy, hard to understand in the beginning. After leaving his prep school he goes to New York and an adventure begins. He's hopelessly attracted to beauty and that's something he can never change. One of the best teen books. Ever since his father's death, Oscar has been looking for a certain lock, and he's determined to find it. The key was left for him by his departing father, and takes him on an adventurous quest. One of the top teen books. Harry Potter does not have any idea about his fame. It’s all because of his uncle and aunt who came to know about his wizard, just like his parents. Everything got changed when Harry got an invitation to join the school of wizards. A story of two star-crossed misfits that is set over a course of one school year in 1986. These two misfits were smart enough to realize that their first love never almost lasted but they were brave enough to try it out. One ring that bring all together and bind them, rule and find them. These rings of power were crafted by eleven smiths. The epic adventure of Lord of The Rings revolves around the ancient time, one ring has the power rule the entire world. Your Divergent library is not complete if you do not have Four. The readers first encounter Tobias as Four in Divergent where they will find more of his charismatic character in the backstory of the novel where he told his perspective in Four. This is a story that will make you believe that a fiction can have a soul-sustaining power. When the cargo ship sank the only lifeboat remained bobbing in the wild blue Pacific Ocean. The only survivor in that boat were 16 year old boy named Pi, a zebra, an orangutan, a hyena and a royal Bengal tiger. This is a story of Mark and Trina. They were in the middle of the tragic event of virus outbreak. But fortunately they survived. But the virus is spreading now and converting the human race into a murderous rage – there is no cure no escape. If you want to spark your imagination and create a world of adventure The Dungeon Master’s Guide offers the necessary inspiration and guidance. It offers world-building tools along with tips and tricks to create memorable dungeons and adventures. The Lord of the rings takes you into a journey of searching the one ring with the power from ancient times. The interesting journey is associated with lot of emotions that keep the story gripping. A survival saga written beautifully by james Dashner, the Kill order describes about the saving of humanity against all odds. The fast paced, action of the book can keep the reader engrossed for a long time. This book involves unravelling lot of deep dark secrets which can keep the reader glued to the book. The story of searching for Ash with lot of mysteries is truly written amazing well by Annette Marie. A magical intriguing story of Mare with lots of twists and turns at each stage. Struggles, Determination and fate of Mare makes it for a interesting teen reads. A war story, the emotions, struggles are all effectively caprured. The book showcases the ravages done by a war and how people are affected. The entire harry potter collection can be regarded as one of the fastest selling and most popular books. With all the seven books available in one set, this can be one priced posession all teens can look forward to. The series can be regarded as one of the top 20 books for teens. An emotional drama of a young girl Mia, her life, realization of how precious the life is, the struggles can take the reader to a strong emotional journey. A beautiful love story started from the highschool. The story captures the beautiful essence of love and describes love can stand all odds. It reminds everyone of their first love. Can be one of the best books for teens. A self realization story involving Clay jensen. The suicide of his classmate and crush and later the tapes received about the reasons of suicide is very heart touching. History of Boston In 1765 is covered in a Joyous way with Rush Reveres and his comerade Liberty, the horse. History is talked again, but in a different way in this book bu Rush Limbaugh. This one of the good books for teens. This interactive book holds the reader with lots of hidden stuff to be found makes it an interesting read for all ages. 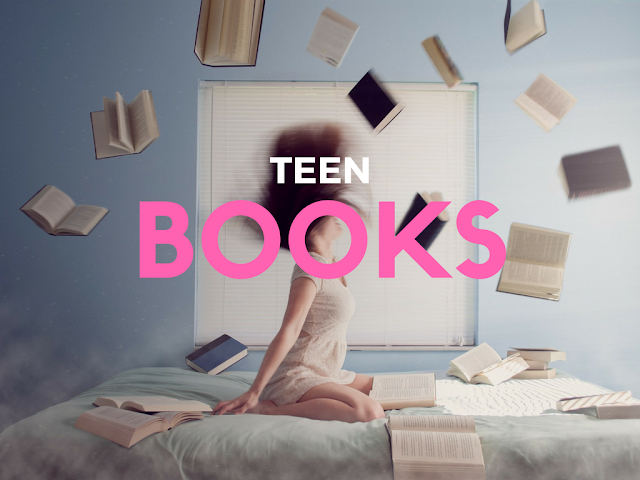 Especially, the book is ideal for exploring teens and makes a good book for teens. A very creative colouring quest with lots of puzzles and interesting hidden things all waiting to be found. This book has multiple aspects of colouring, story, quest which will fascinate teens and can be one of the top teen books. A debut thriller, Paula Hawkins presents the electrifying of a everyday girl Rachael, the suburb London lives. The thriller has a lot of twists and turns to force the reader to go to the next pages. This electrifying thriller can be one of the top ten books for teens. The book talks about the times of World war -1 in the year 1915. The book holds the reader with its storytelling in a ship travelling from New York to Liverpool in the dangerous war zone areas. With the fascinating story telling by Erik Larson, the book stands as one of the good books for teens to read. The story set in the background of Worl war-2 is about a blind french girl and a young German Boy. The story telling is amazing with good detailing and metaphors and catches the readers attention with this thriller. The book is no doubt a good read for teens. A heart touching story of nine young Americans winning the rowing competition in 1936 Berlin Olympics. The sheet determination and will, the strength, all these form a true compelling read for teens. The book showcases the future, the year 2044. The story of the teenager wade watts, who is curious about puzzles. The story takes a spin when he enters Oasis, a virtual utopia. This can be one of top 20 books for teens. Harper LEE captures all the human emotions like love, hate, compassion in this best seller. The story of the young Albama woman is very compelling and is one of the best literature works.